Are trade shows galore in the future for your corporation? Leave the trade show moving to the Charlotte trade show movers at Charlotte Van & Storage. You tell us what to pack for each tradeshow and we will properly pack each item so that you are not missing any signs or tables. Charlotte trade show shipping can be completed across the country or anywhere else in the world. 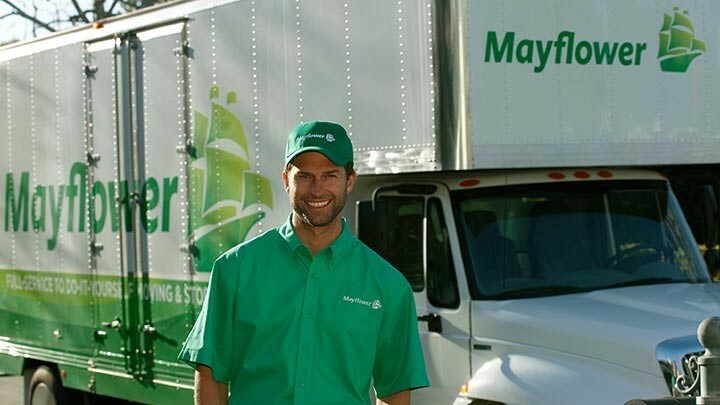 Where we can move you is endless because of our agent status with Mayflower Transit. To simplify your Charlotte trade show shipping, we can store your entire exhibit in our commercial storage facilities when it is not on the road or in a convention center. Our storage facilities are secure, fire-retardant and protected from the outside elements. The Charlotte trade show movers know you have places to go and important media to meet with - our trade show moving team transitions quickly. Let the Charlotte trade show movers pick up your display and all of the accessories you will need for your next trade show. Charlotte trade show shipping has never been so simple. Whether you manage a major exhibition schedule or you present at one trade show a year, Charlotte Van & Storage wants to be your trade show shippers of choice. Contact us today to get all of your questions answered. You can also fill out our no cost, online quote form to speed the estimate process along.